In the design world, everyone knows that greys are better than silver – they’re gold! 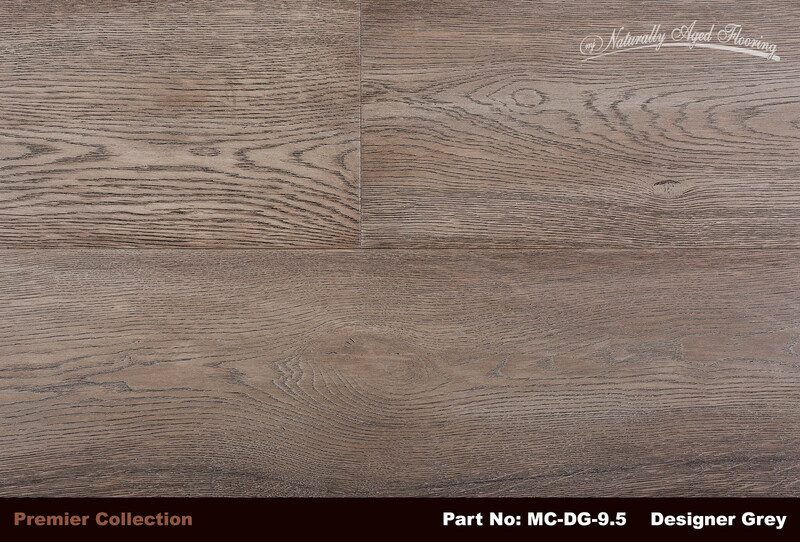 Designer Grey is a neutral color hardwood floor that supports the more colorful elements of your work of art. With the latest addition to our Premier Collection, Naturally Aged Flooring has taken robust white oak and bathed it in a gentle taupe wash accentuated the stunning wood grain with a fine charcoal tone, making it a perfect selection for most any design project. 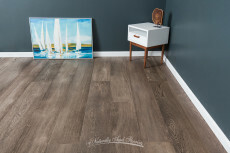 Matching taupe filler is added to smooth out the knots and clefts inherent to the wood, leaving the mesmerizing grain patterns that have long made oak one of the most sought after woods in the flooring industry. 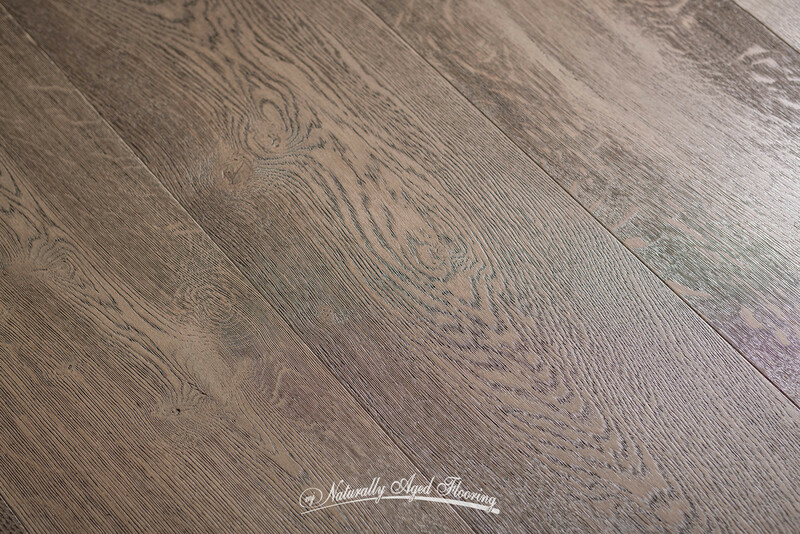 Each plank is individually wire-brushed to enhance the exquisite texture of nature for a perfectly balanced flooring product in support of the more adventurous colors you may bring into your home’s scheme without battling for attention. On the other hand, Designer Grey clearly stands on its own merits, as well. Left unadorned, Designer Grey radiates a captivating display of form and motion drawing you deep into the beauty of the hardwood itself. Yes, you can have it both ways. 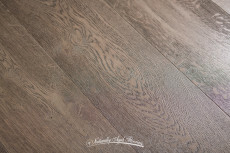 Grand 9-1/2” wide planks allow the natural rhythms of the wood to shine forth. 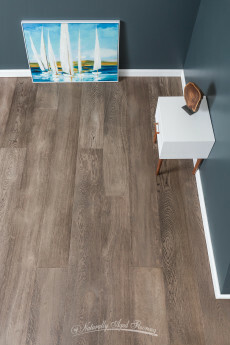 A low sheen UV lacquer finish brings everything into proper perspective, making Naturally Aged Flooring’s Designer Grey a smart, versatile choice for any décor. 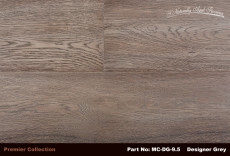 Urban as well as earthy, chic as well as rugged, Designer Grey’s possibilities are almost endless. Whether letting your imagination run wild or settling in for the night, Designer Grey works to fit any mood. If you should decide to change everything around, the versatility of Designer Grey is there for you. Whether blending in or emerging from the crowd, you can’t go wrong with Designer Grey’s timeless appeal.